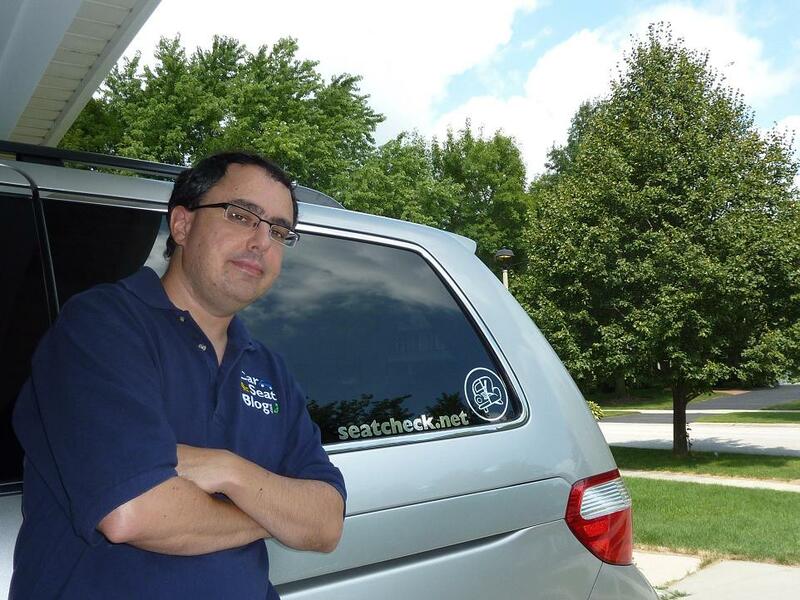 SeatCheck.Net inspections are provided by SafeDad, a SAFE KIDS USA Certified Child Passenger Safety Technician and Safe Kids USA Senior Checker, recipient of the 2004 Kuska Award*. I have 20 years of experience installing almost every type of child seat in a wide variety of vehicles. In addition, I attend quarterly updates, periodic refresher courses and various annual conferences on Child Passenger Safety, far beyond the basic re-certification requirements. I have taken additional training courses in child passenger safety for school buses and for special needs children. As a member and past coordinator of DuPage County SAFE KIDS for a decade, I also volunteer my time doing free inspections at checkup events on behalf of various local organizations. 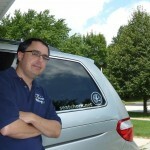 I have lived in the Chicago area my whole life and currently reside in Naperville with my wife and three children. I graduated from the University of Illinois with a degree in engineering and worked at Fermi National Accelerator Laboratory for 10 years before choosing to stay at home with my young kids. It was difficulty installing a child seat for my oldest son that began my journey back in 1999. Today, my efforts are to reach as many parents as possible with information on how to protect their children while transporting them in motor vehicles. After publishing various websites on the topic, I began my professional Seatcheck Car Seat Installation & Instruction Service in 2004 to personally help parents learn how to safely use their child safety seat. I will check that your child seat can be properly installed in your vehicle, check it for damage and recalls, review the instructions for installation and make sure your child is seated properly in the carseat. Most importantly, I will help YOU learn to install it correctly in a relaxed, one-on-one environment. The instruction is not rushed and parents are welcome to ask questions before and after your inspection by phone, by email or on our free forums at Car-Seat.Org or my facebook group where I or another technician, instructor or advocate will answer your questions as quickly as possible. Looking for child safety seat recommendations and reviews? Please feel free to visit CarseatBlog, where my colleagues and I provide recommendations, tips, advice and expert carseat and family vehicle reviews! I also provide consulting and other services for parents, schools and organizations. These include speaking engagements, classes and assistance, carseat installation parties and also personalized assistance in selecting and purchasing the right carseat for your child and vehicle. I am also an automotive journalist and member of the Midwest Automotive Media Association and can offer shopping services for safe vehicles as well. My carseat installation service can save the life of a child and are also much less expensive than other professional services! * The Kuska award is presented to an individual who demonstrates extraordinary dedication to the field of child passenger safety. It is the highest individual award for certified child passenger safety (CPS) technicians in the state, presented at the Illinois Lifesavers Conference, sponsored by the Illinois Department of Transportation and Illinois Traffic Safety Leaders. All information ©Copyright 2002-2019, by Seatcheck and/or its owners.